Naprosyn is in a group of drugs called nonsteroidal anti-inflammatory drugs (NSAIDs). Naproxen works by reducing hormones that cause inflammation and pain in the body. 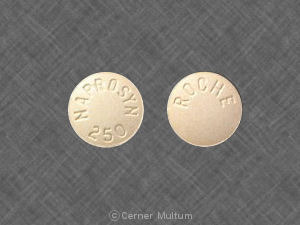 Naprosyn is used to treat pain or inflammation caused by conditions such as arthritis, ankylosing spondylitis, tendinitis, bursitis, gout, or menstrual cramps. Naproxen is used to relieve pain and swelling (inflammation) from various conditions. It is used to treat headaches, muscle aches, backaches, tendonitis, dental pain, and menstrual cramps. It also reduces pain, swelling, and joint stiffness caused by arthritis, bursitis, and gout attacks. Reducing these symptoms helps you do more of your normal daily activities. This medication is known as a nonsteroidal anti-inflammatory drug (NSAID). 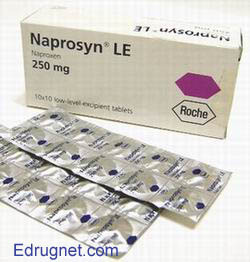 Naprosyn, a nonsteroidal anti-inflammatory drug, is used to relieve the inflammation, swelling, stiffness, and joint pain associated with rheumatoid arthritis, osteoarthritis (the most common form of arthritis), juvenile arthritis, ankylosing spondylitis (spinal arthritis), tendinitis, bursitis, and acute gout; it is also used to relieve menstrual cramps and other types of mild to moderate pain. Naproxen belongs to a class of drugs called nonsteroidal antiinflammatory drugs (NSAIDs). Other members of this class include ibuprofen (Motrin), indomethacin (Indocin), nabumetone (Relafen) and several others. These drugs are used for the management of mild to moderate pain, fever, and inflammation. They work by reducing the levels of prostaglandins, chemicals that are responsible for pain, fever, and inflammation. Naproxen blocks the enzyme that makes prostaglandins (cyclooxygenase), resulting in lower concentrations of prostaglandins. As a consequence, inflammation, pain and fever are reduced.